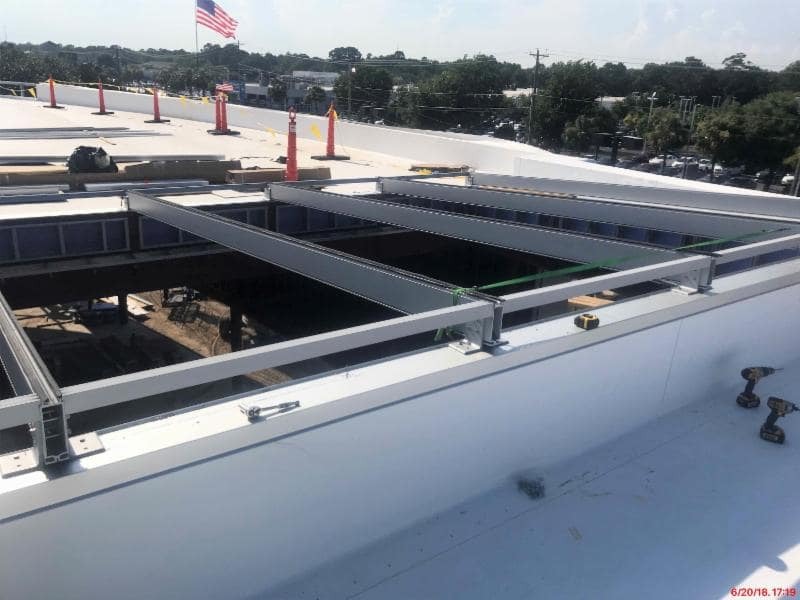 Getting closer to having the building dried in with the installation of the skylight, additional exterior waterproofing, and some temporary enclosures, which will allow drywall activities to begin. 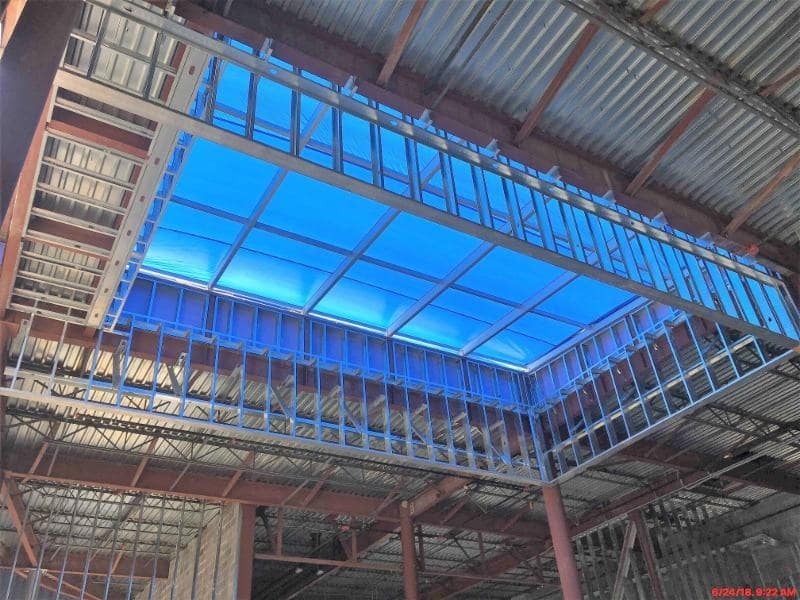 The framework for the skylight was installed last week and glass will be finalized this week. 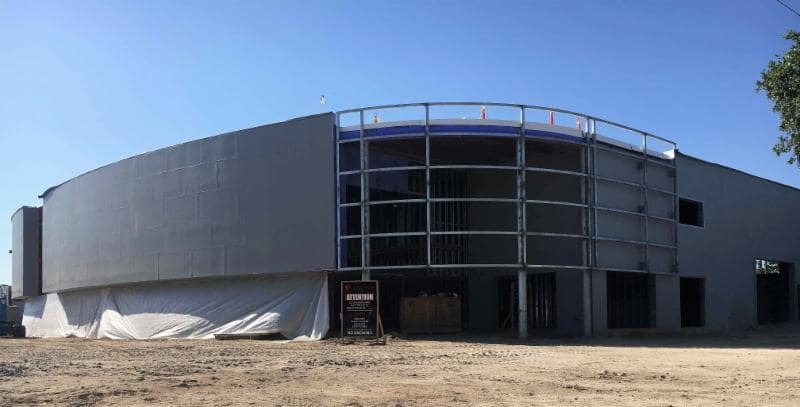 Waterproofing coating has been applied to the exterior sheathing. Exterior insulation was delivered and installation will begin this week. 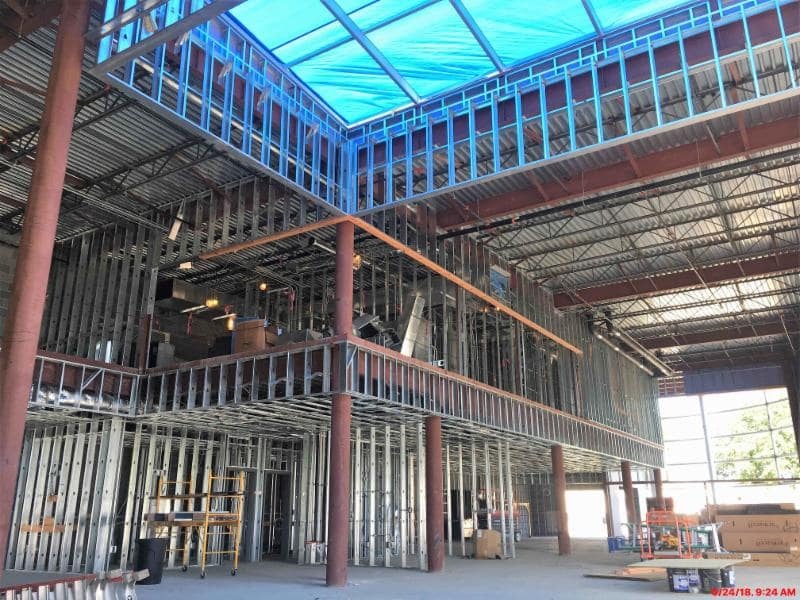 Lots of activity in the first and second floor office areas. 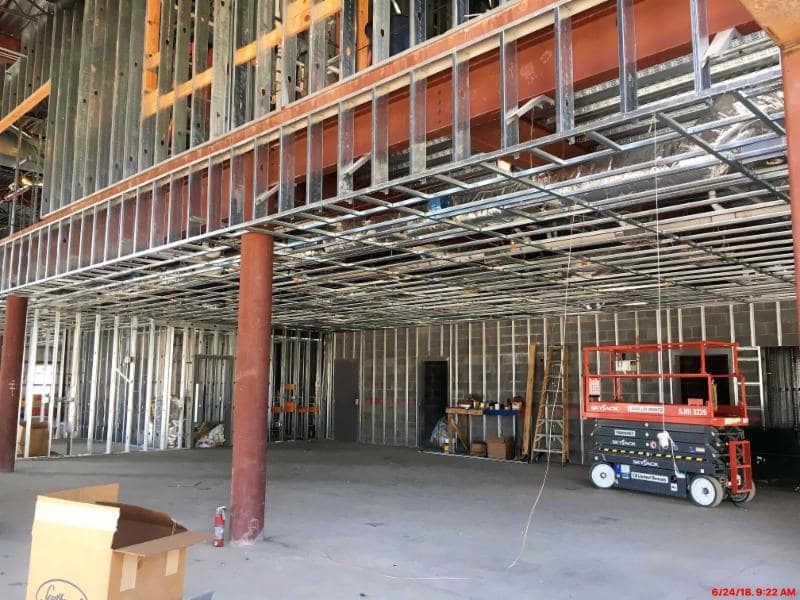 Overhead and wall plumbing, mechanical, electrical, and sprinkler work are wrapping up and framing for the hard ceiling has been installed. 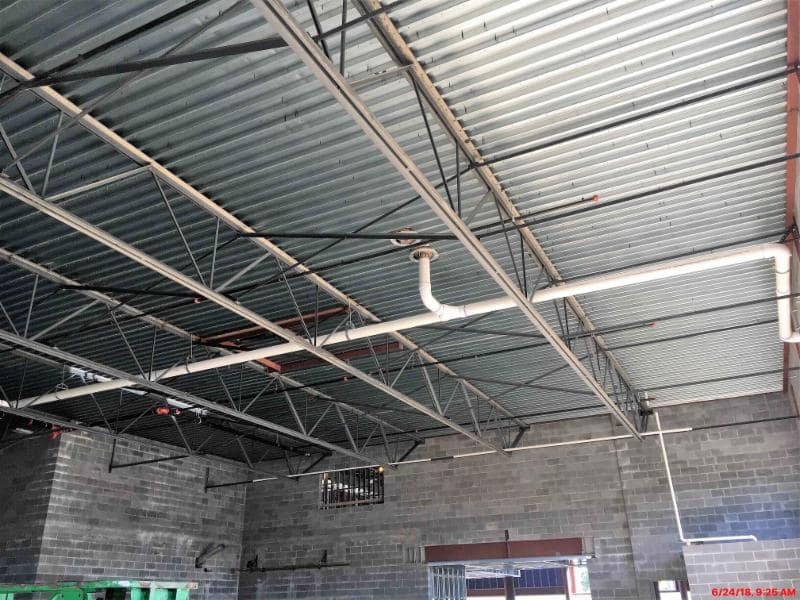 In the shop area, roof drains have been connected and sprinklers have been installed.